Of course, I’m just being picky because I seldom need more than three or four digits of accuracy, but it sure would be nice to know the answer. Fortunately these days, there are a number of very accurate voltage reference circuits that you can build or purchase for a few dollars. A ready-to-use unit made by Agilent is shown in Figure 1. It puts out 2.500, 5.000, 7.500, and 10.00 volts and costs less than $20 on eBay. 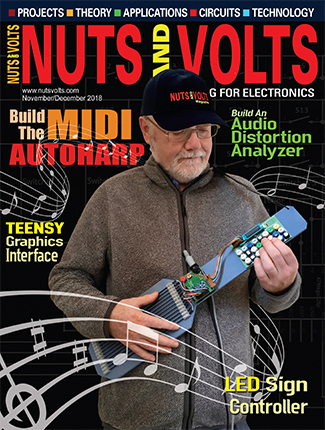 The actual precisely-measured voltages are recorded on the side label, good to six digits. The heart of it is a laser-trimmed Analog Devices AD584 voltage reference IC. 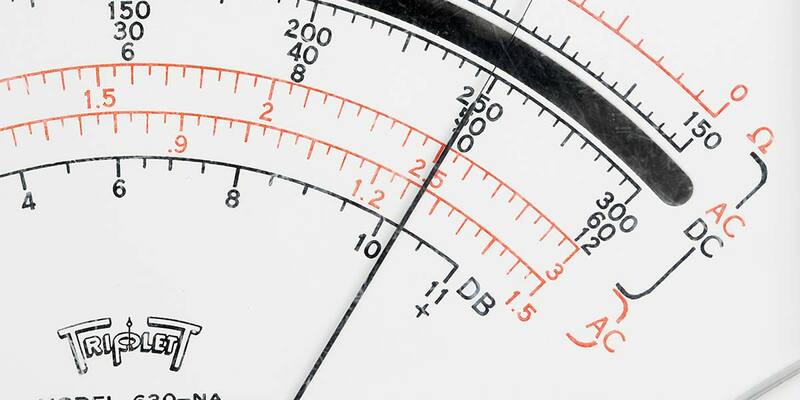 There are two grades of AD584s for hobbyists — J and K — which specify the accuracy of the outputs. J is +30 mV and K is +10 mV for their 10.00 volt outputs. 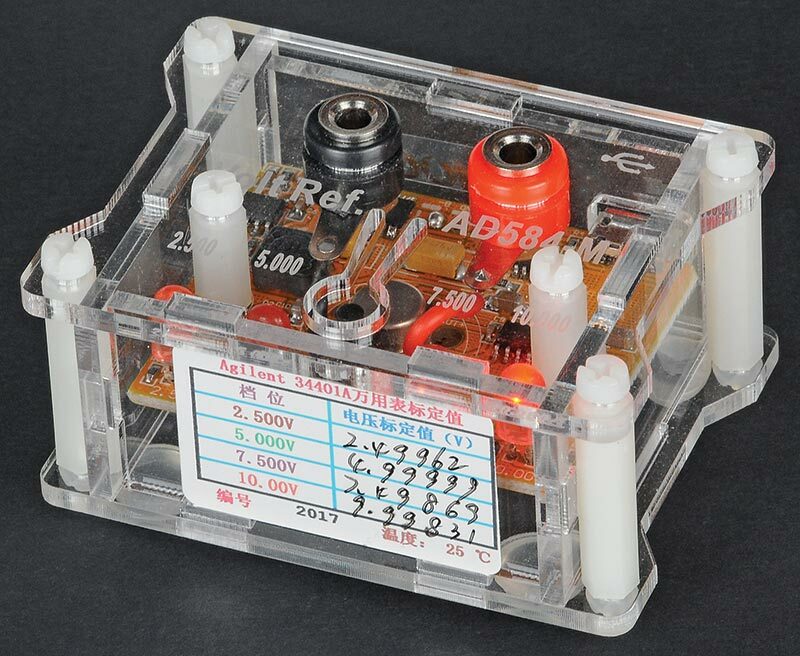 The IC in the breadboard is the K version and the spec sheet lists a max error of +3.5 mV for the 2.500 volt output. You can see that the measured error is a lot less — only +1.0 mV. That’s one part in 2,500. Good enough for most measurements! Just for fun, I dug out my old Model 630NA Triplett VOM with its cool anti-parallax mirrored scale to see what it would read. I magnified the image in Figure 4 and estimated the reading to be 2.488 volts. 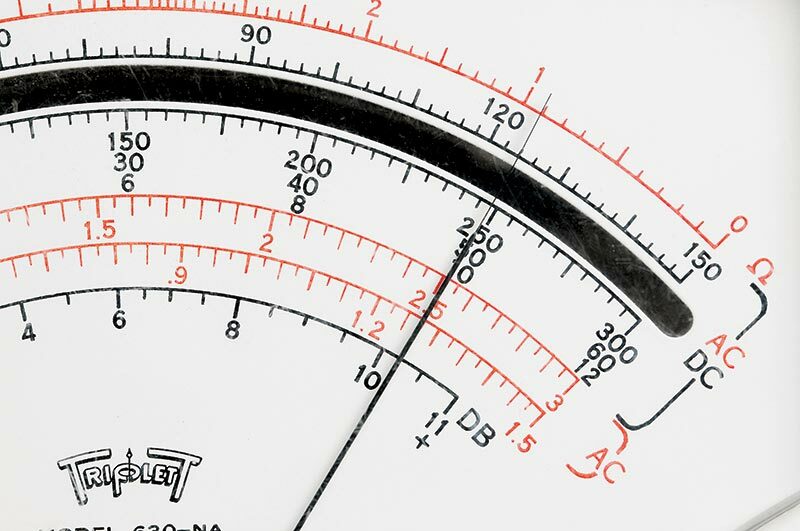 The manual for the meter stated the accuracy to be +1-1/2% of full scale. Bottom line: My Triplett was accurate to within 1/2% on the three volt range. Not too shabby for a meter as old as the hills! For example, the 5.000 volt output of an AD584 only varies about +1.25 mV over the full industrial range of 0°C (32°F) to 70°C (158°F). If you are interested, I conducted temperature tests on an AD584 and the results are graphed in Figure A in the sidebar. Figure A. 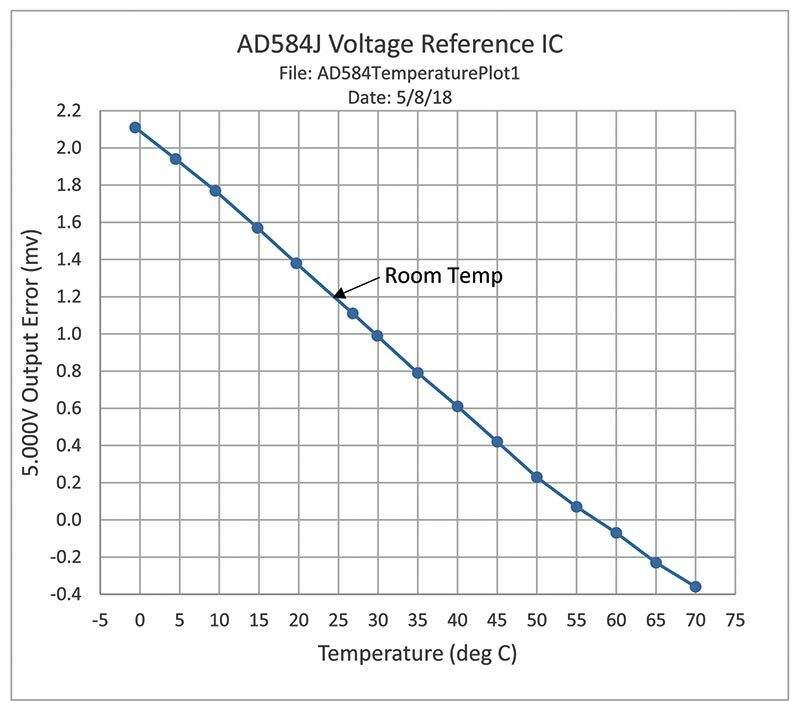 Temperature plot of AD584 IC 5.000V output shows just 2.5 mV variation from 0°C to 70°C. 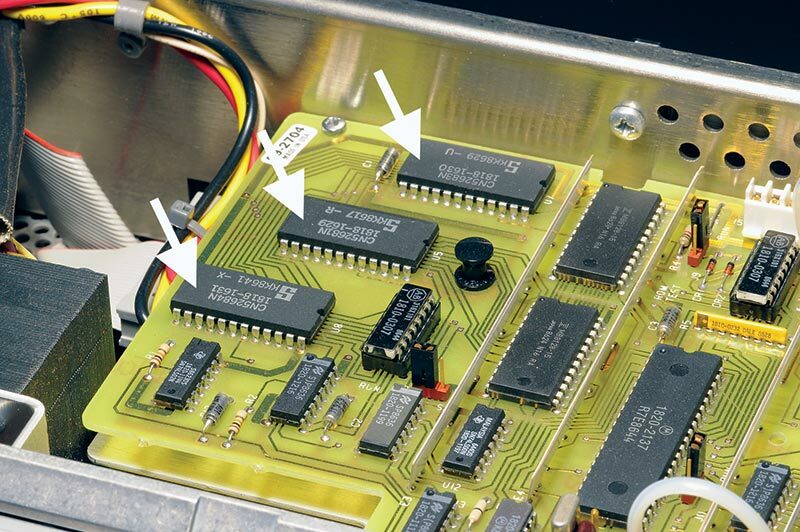 Voltage references (or standards) in the past weren’t quite as small or inexpensive as the current ICs. They came in shiny black Bakelite housings that cost $40 in 1963 dollars. On a whim, I bought a brand new one (actually 39 years old) made by Eppley Laboratory on eBay for $50. It’s a real beauty. See Figure 5 for a size comparison to the modern AD584 DIP. FIGURE 5. 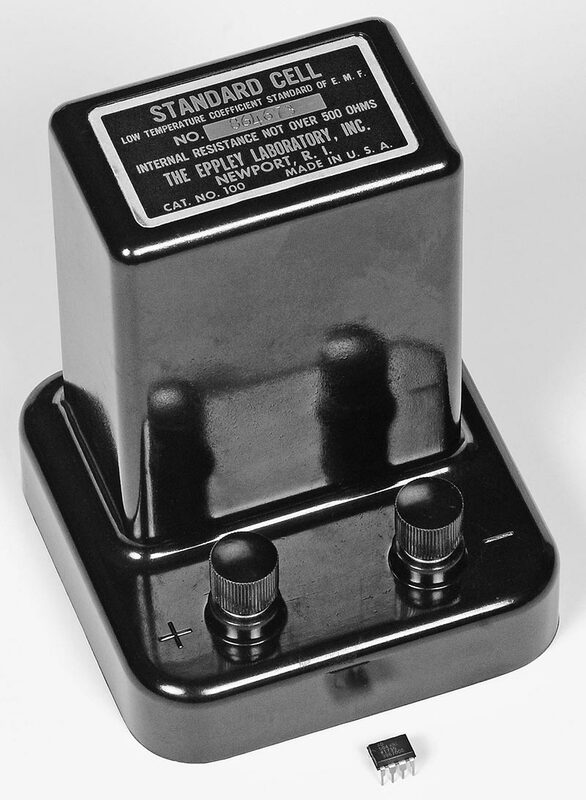 The Weston standard cell made by Eppley was the world’s primary voltage standard for over 70 years. For almost 80 years (from 1911 to about 1990), these shiny black housings called Weston cells reigned supreme as the world’s primary and secondary voltage standards. Inside the housing was a simple glass vial filled with a bunch of high purity chemicals. Figure 6 shows one of the H-shaped vials with the chemicals at the bottom of each leg and filled with a liquid to just above the halfway point. The chemicals included mercurous and cadmium sulfates, cadmium-mercury amalgam, and an electrode of shiny metallic mercury in the lower right leg. Platinum wires were used to bring out the voltage. The voltage was produced by the interaction between these chemicals and was a little over one volt; 1.0193 +.0002 volts to be exact. 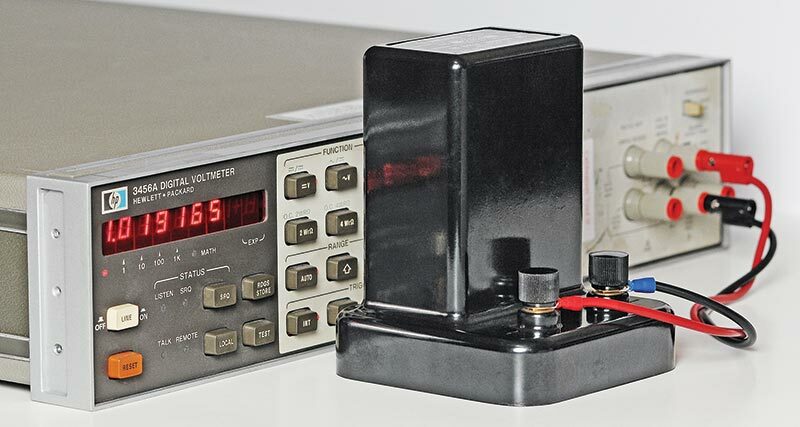 Although Weston cells were very stable, they still needed to be periodically checked against the nation’s super-accurate primary standard cells located at the National Bureau of Standards (NBS) in Washington, DC. 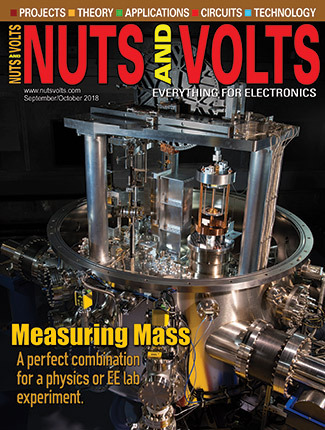 Calibration labs and cell manufacturers would periodically send their cells to Washington and NBS would issue a certificate stating their precise measured voltages, good to one microvolt. The most stable type of cells — called “saturated” cells — were so delicate that they could not be tipped more than 45 degrees and had to be hand-carried all the way to and from NBS. Cell manufacturers (like Eppley) would also maintain super-accurate saturated reference standards at their facilities, so the individual secondary cells they sold would be traceable back to NBS. 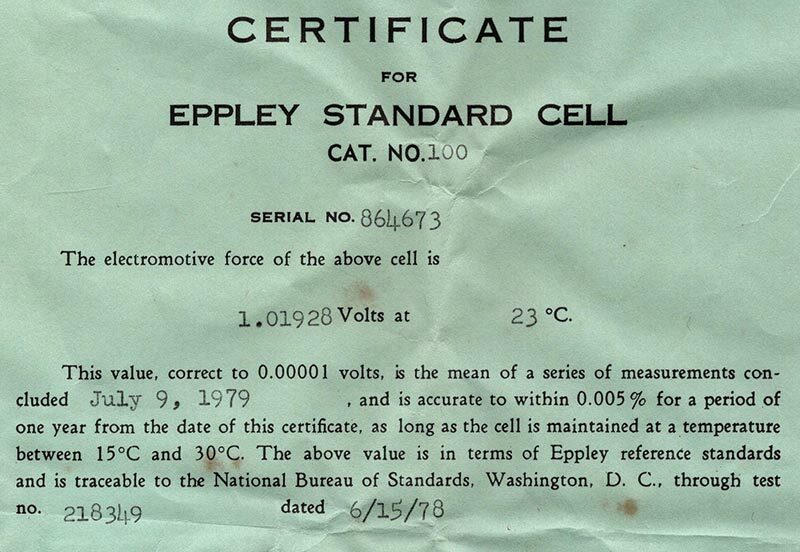 Figure 7 shows the slightly wrinkled certificate that came with my Serial Number 864673 Eppley Standard Cell, certified to six digits. My secondary cell is the “unsaturated” type which is not sensitive to tipping and can be shipped in the regular mail. When it arrived, all the digits came on. However, pushing the Test button triggered an error of “-4.0000” which made me suspicious. So, I shorted the input terminals and it displayed all kinds of random digits, not the 0.000000 I expected. So … I caved in and bought another HP3456A from a regular test equipment house, for three times the money, and they calibrated it to the original specs. When it arrived, I checked to see if the ROMs had been replaced. Big surprise! Board #A4 had been completely redesigned by HP. No more three ROMS, just one big one. Hopefully, it won’t die like the others. Figures B and C in the sidebar show photos of HP’s board redesign. 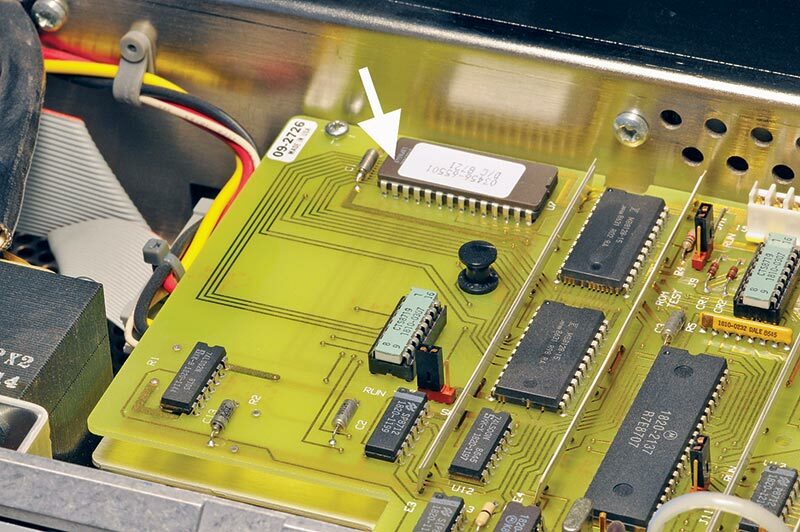 HP redesigned their HP3456A voltmeter to replace three defective ROMs with one larger memory chip. FIGURE B. Old HP3456A (serial #18467) with three defunct ROMs. FIGURE C. Newer HP3456A (serial #19178) with redesigned board and a single ROM. The final chapter to this story is better than the beginning. The fellow who sold me the original non-working unit gracefully refunded my $99 and told me to keep it as a door stop. All in all, it turned out for the better. The Figure 7 cert for the 39 year old black beauty was 1.01928 volts. However, some Weston cells were known to lose a small amount of voltage over the years; about 30 µV/year: -30 µV x 39 years = -1560 µV (1.56 mV). Quite a bit! With my newly acquired and calibrated HP3456A in hand, Figure 8 showed the actual loss and it was much, much less: 1.019280V - 1.019165V = 115 µV, i.e., a 0.115 mV loss in 39 years. Amazing! Maybe the lower loss was because of the brand-new condition of the cell and benign storage in a warehouse all that time. Who knows? Meanwhile, time marched on and new technologies popped up to challenge the Weston cell. In this case, it was the Josephson junction which proved to be 1,000 times more accurate and stable. In 1962, a graduate student at Cambridge University named Brian Josephson derived a series of equations that postulated that two superconducting electrodes separated by a thin layer of insulation would create a special junction, now known as a Josephson junction. If an AC microwave signal was applied to the electrodes, pairs of Cooper electrons would tunnel through the insulator and create a tiny millivolt level DC voltage across the electrodes. 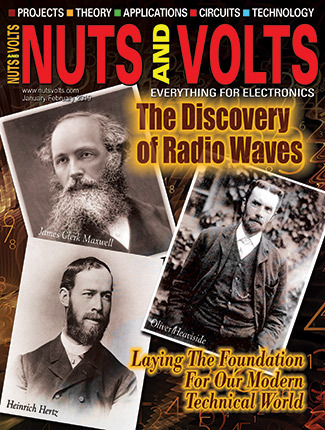 The significance was that the value of the tiny DC voltage could be locked to the frequency of the microwave signal. In other words, a precise frequency would produce a precise voltage, every time. 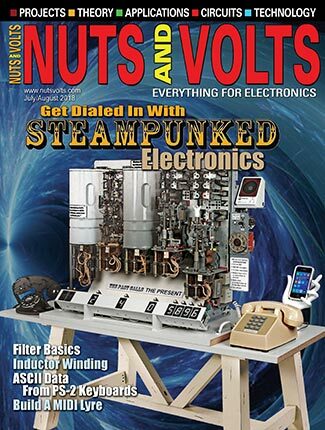 A few millivolts was not a very useful calibration source, so developers fabricated an integrated circuit type structure that had an array of thousands of tiny junctions all in series, all adding up. 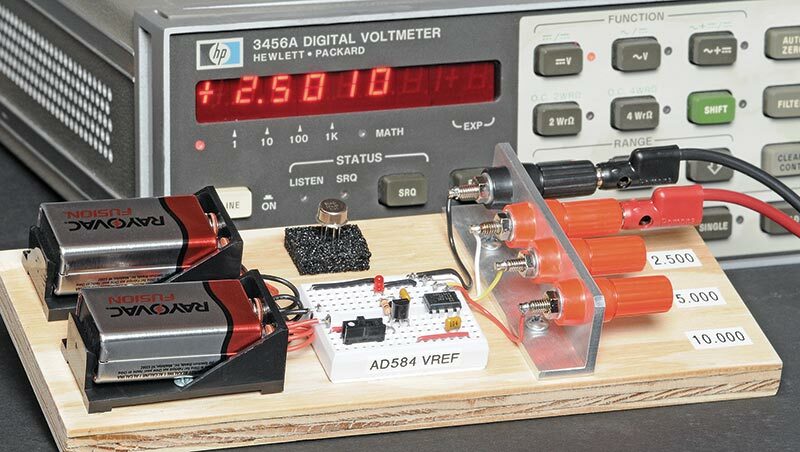 It took 20,208 tiny junctions to produce one volt and almost 300,000 to make 10 volts. Figure 9 shows a microscopic view of an early one volt version. If you look closely, you can see the serpentine array of junctions, although the whole chip was only about 3/4” wide. FIGURE 9. 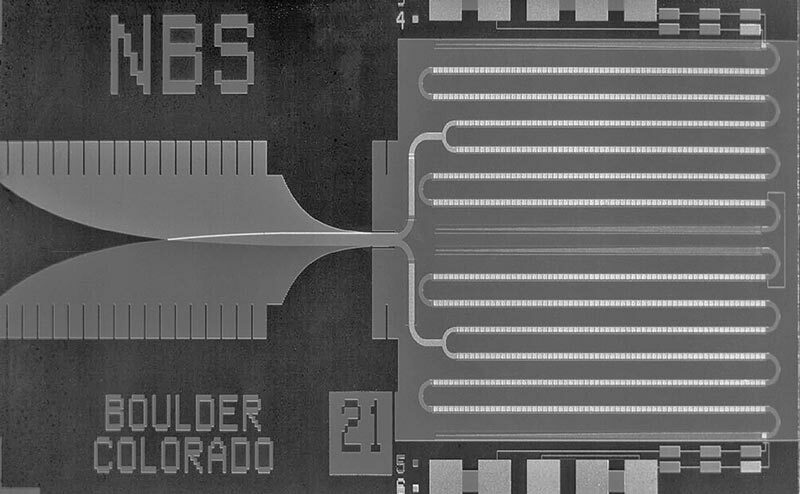 This highly magnified view of a superconducting Josephson junction array has 20,208 tiny junctions that generate 1.000000 volts. Photo courtesy of NIST. 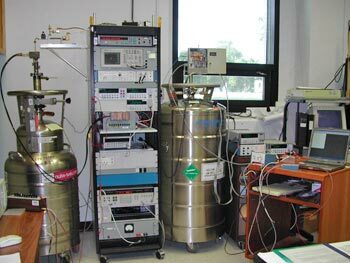 Figure 10 is a view of a typical complicated laboratory setup using several cylindrical liquid helium dewars (pronounced do’-ers) to cool the integrated arrays to four degrees above absolute zero and provide the microwave power to the junctions. FIGURE 10. 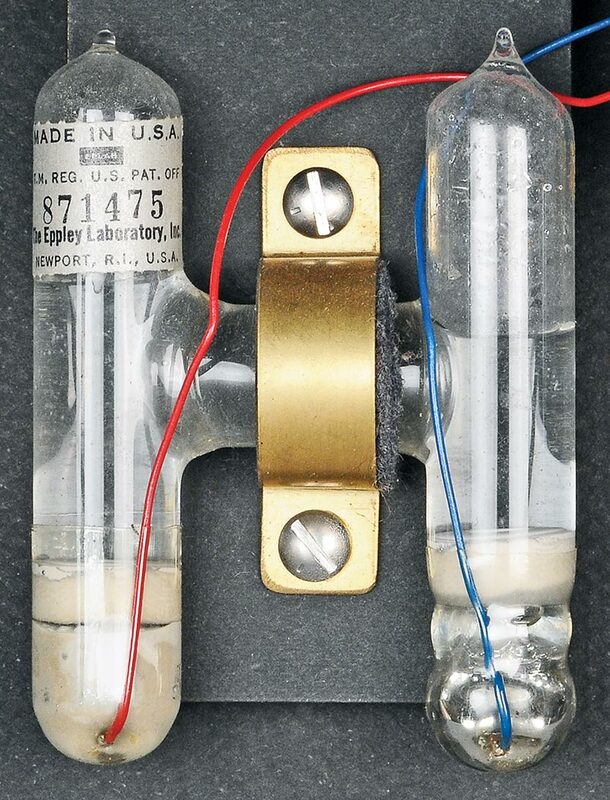 A primary voltage standard setup uses a tank of liquid helium to cool the Josephson junction array inside it to 40K. Photo courtesy of NIST. Figure 11 is a very simplified diagram of the arrangement of the junctions, showing the flow of the precise microwave signal. FIGURE 11. The value of the DC output of this simplified array diagram is locked to the frequency of the input microwave power. Typical frequencies are around 75 GHz. Also for simplicity, the current-bias wires that determine the operating point of the array and polarity of the DC outputs are not shown. Nowadays, 10 volt Josephson Voltage Standard (JVS) systems are located in over 70 facilities around the world, with new more compact and programmable systems being developed as we speak. However, all this development did not occur overnight. It took several decades before the first practical system was ready for everyday use — other than in a laboratory setting operated by PhD physicists. If you want to know even more about Josephson junctions, there are quite a few scientific papers on the Internet. Check Wikipedia too. BTW, if you have some extra cash laying around, you can buy a turnkey 10V programmable Josephson instrument from the NIST (National Institute of Standards and Technology) for the bargain price of $220,600. Or … you could build one in your basement. ARE MY METERS ACCURATE OR NOT? Finally, I checked all the voltmeters in my shop against a trimmed 5.00000V IC reference as shown in Figure 12. FIGURE 12. 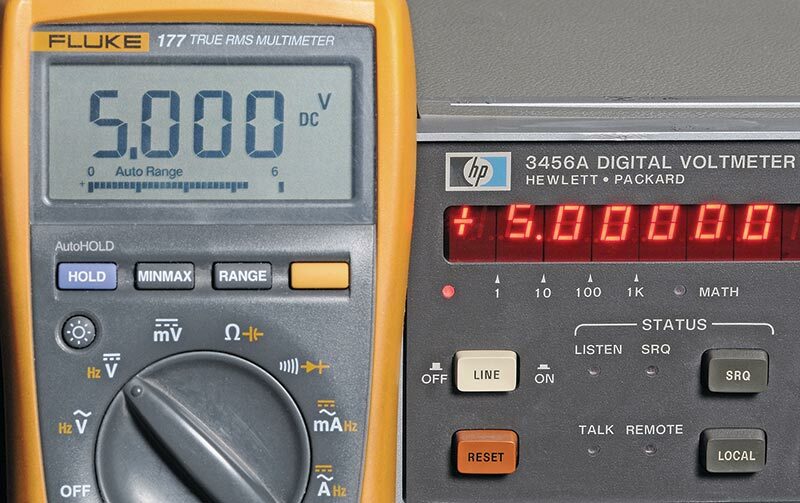 My Fluke DMM is right on the nose compared to a precision voltage source. It was kind of anticlimactic because ALL the meters were right on the nose, including some analog panel meters. So now, I have no doubts about the accuracy of any DC voltage measurements I make in the future. 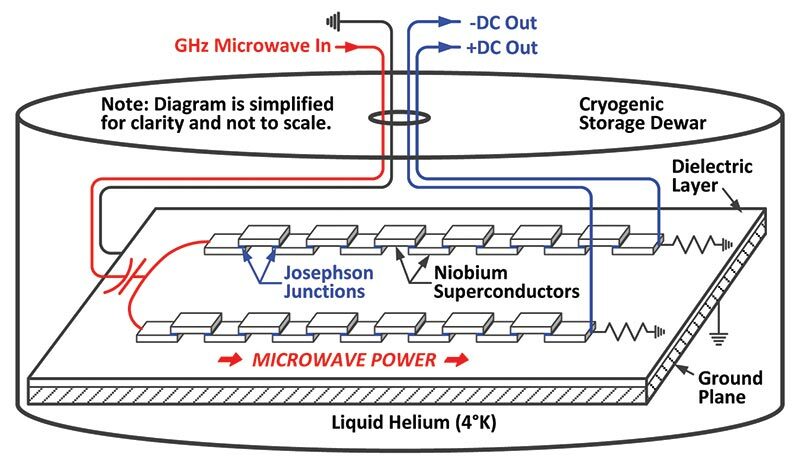 While it might be fun to have your own world-class super-precision Josephson instrument in your basement, taking delivery of liquid helium each month might make the neighbors wonder.